I met Clare 3 years ago; we were working together on a Humpback whale survey project off the coast of Queensland, Australia. Living across the globe from each other, but both working in the marine environment field, we have remained friends. 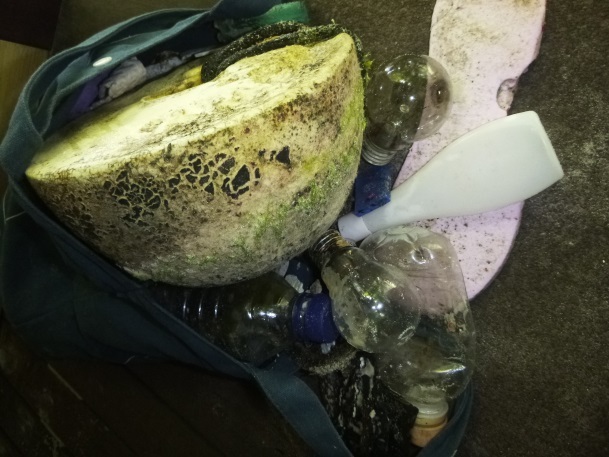 I have been following her blog of beach cleans and now as I work on the beach I decided it was time to write a guest entry. I moved to the Seychelles in March this year and joined the WiseOceans team as a Marine Educator at Four Seasons Resort Seychelles. Seychelles is a collection of granitic and coralline islands in the Indian Ocean just below the equator. In fact 99.9% of the exclusive economic zone of the Seychelles is water. The largest island, and the one on which I am located, is Mahe; with a surface area of 150km² and home to only 90,000 people. 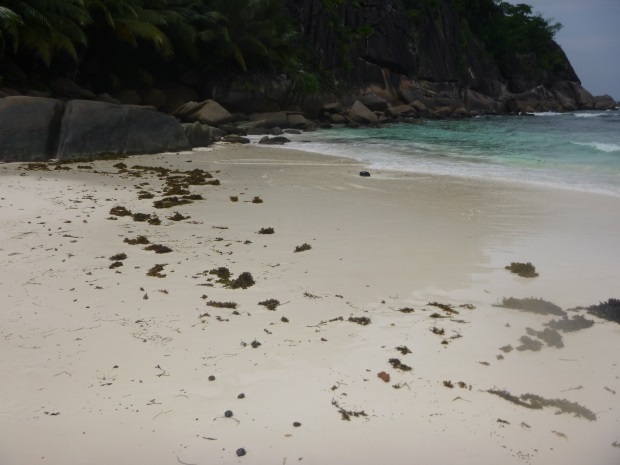 Petite Anse is located in south-west Mahe, and although it is mostly occupied by resort guests, as with all beaches in Seychelles it remains public. The beach is approximately 400m in length, not particularly wide and backed by shrubs and trees. When the winds blow from the south-east this bay is sheltered, calm and idyllic. The white sand looks untouched, with little to no seaweed, shells or corals. During the north-west season, which is now upon us, we see some changes occur on the beach. One of the most noticeable is the large amount of rubbish washing up amongst the seaweed. Examining the items that are washed up we could conclude the majority of it is thrown overboard or lost from leisure boats. Arriving directly from the open ocean, some items have been floating around for a considerable time and come ashore covered in barnacles, crabs and algae. 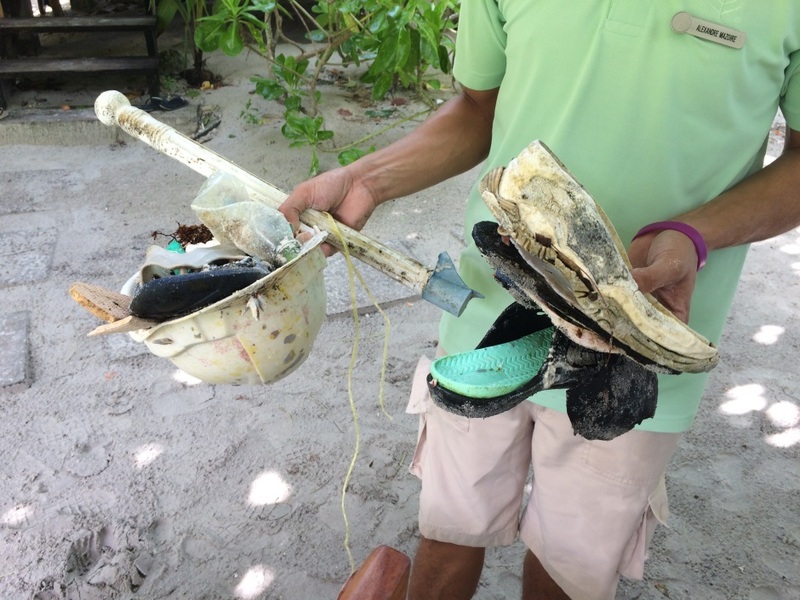 Keeping our beach clean is a team effort and luckily we are supported by the resort staff who all lend a helping hand. For those new to the beach witnessing this change has been an eye opener to the issues of marine litter. 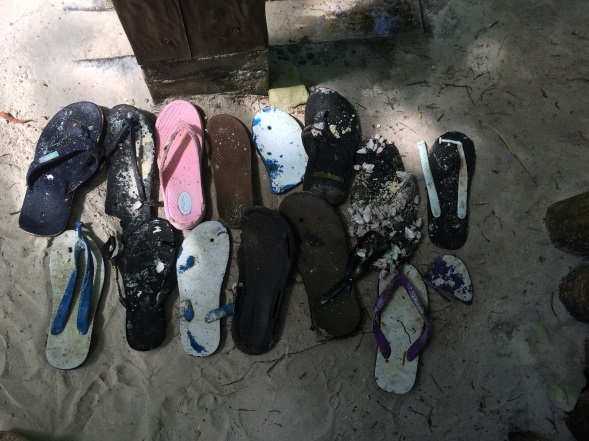 I think they are especially surprised at the time it takes for some items to biodegrade and the sheer quantity of it (up to 20 single flip-flops in one trip). It’s also interesting for them to see us scrambling in the sand to collect all the micro plastics, as even the smallest pieces can have a negative impact on marine wildlife.